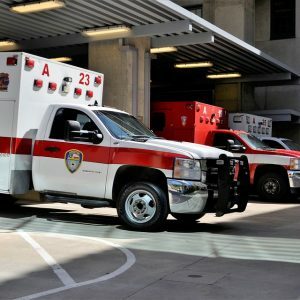 Harris County, TX (April 11, 2019) – Harris County Sheriff’s Office responded to the scene of a collision on Beltway 8 shortly after 4 p.m. According to reports, two crew members in a private ambulance service vehicle were involved in a collision with a dump truck on Beltway 8 near Lee Road. The two crew members sustained injuries and were transported to an area hospital for treatment. The condition of the dump truck driver is unknown at this time. We hope the victims injured in this collision make a full recovery quickly. Every year, over 250,000 victims are injured in car accidents across our state. These horrific incidents are not only terrifying, but they come with devastating emotional, physical, and financial consequences. Victims who are injured in collisions caused by negligent or reckless drivers should contact a Texas car accident attorney as soon as possible. It is imperative to work with a reputable legal representative who has extensive knowledge of the legalities surrounding car accident cases, especially when victims are injured during their course of employment. Texas accident injury attorneys at the Benton Law firm have extensive experience helping accident victims get the compensation and justice they deserve for their cases. Over the years, we have helped numerous victims get millions of dollars to cover damages, such as lost wages, medical expenses, and pain and suffering. Contact our firm today at (214) 219-4878 to schedule a free case review with a knowledgeable accident injury attorney in Texas to see what legal options are available for you.